As you may have guessed, this site has something of a soft spot for a certain 16-bit console. Whether you know it as the Mega Drive or the Genesis, the chances are you’re equally familiar with the console’s spikey blue mascot, its blast processing prowess and its truly incredible back catalogue. 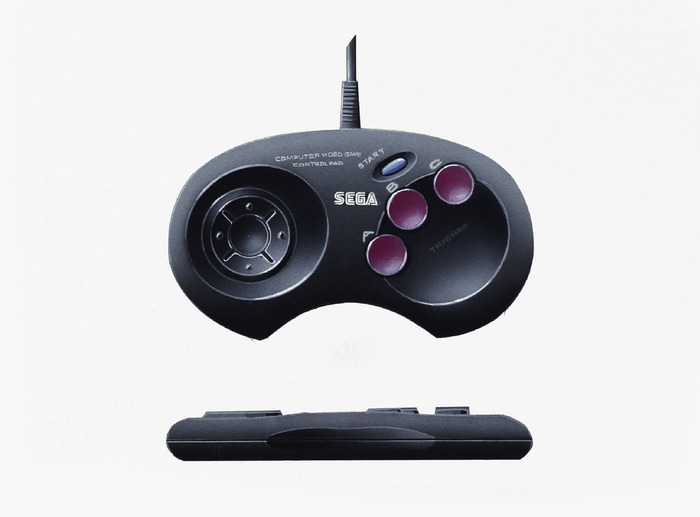 But did you ever hear of its purple-buttoned prototype control pads? Have you cast your eyes upon its hand-drawn pre-development blueprints, or heard the inside story of its incredible hardware spinoffs? (Sega Neptune, anyone?) With these exclusives and more, MegaBites is proud to be amongst the first to reveal Read-Only Memory’s brand new Kickstarter campaign for its latest publication ‘Sega Mega Drive/Genesis: Collected Works’. From the Mega Drive’s earliest concepts, prototypes, mega-marketing campaigns and incredible rise to global fame, Sega Mega Drive/Genesis: Collected Works is set to showcase never before-seen material and industry insight from those closest to the console’s development and its biggest franchises – an indispensable resource for fans of the Mega Drive and retro gamers alike. Fresh from the release of Sensible Software 1986–1999 and the title’s subsequent induction into the BAFTA library, MegaBites caught up with Read-Only Memory publishing’s Director, Darren Wall, for some exciting inside information on a project that is ‘mega’ in every sense of the word. MegaBites: What can you tell us about Read-Only Memory’s new publication? Darren Wall: It can all be traced back to the time of our Sensible Kickstarter campaign. I was in a meeting that was related to a separate work project. It was linked to a studio who conduct a lot of work with with Sony, as well as Sega. I mentioned to them about how I’d love to do a book on the Sega Mega Drive. The studio passed on the details of our Sensible Kickstarter to Sega. 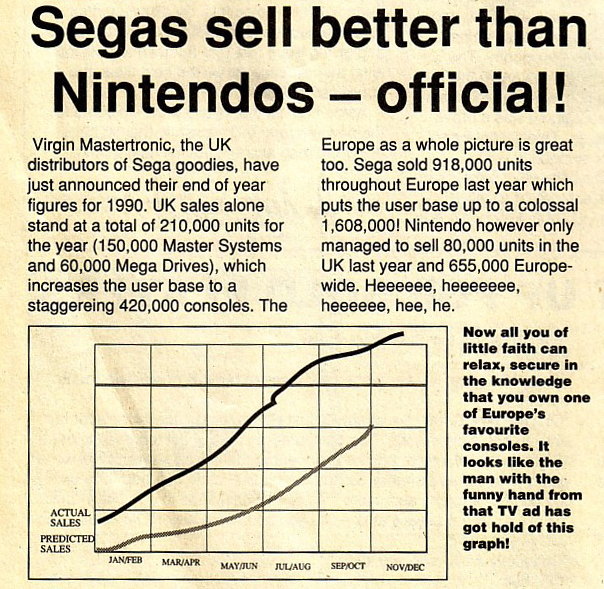 Some time later, Sega contacted us and subsequently asked us to pitch a concept for a Read-Only Memory Sega publication. I think we were competing for the license against another publisher. We put together a pitch and we were offered the license. Congratulations to DarkSeas games for successfully meeting their $160,000 target, securing a mainstream release for their title Road Redemption. Hot on the heels of MegaBites’ recent Kickstarter acticle, the DarkSeas’ fund raised a huge, $173,803, easily surpassing its initial goal. As a huge fan of all things Road Rash, this is one hotly anticipated release. Link: Road Redemption on Kickstarter. The big players in the video games industry have recently released their figures and earnings for the latest quarter. A far cry from the humble days of chiptunes and cartridges, these giants are seeing figures so huge, they’re bound to make even the hardened gamer’s eyes water. Take mobile developer Rovio for example with revenues of £128 million. How about Microsoft, whose gaming business grew by an astonishing £413 million. Sure, greats such as Nintendo and EA are reporting target shortfalls and staff cutbacks respectively. Yet, these comparatively small chinks in the armor, combined with the imminent arrival of the PS4 and XBox One, still make for an era of gaming with its pedal firmly to the metal. But what of gaming’s past glories? How can an industry so preoccupied with growth and development still keep the world of classic retro gaming fresh and exciting? A number of small independent companies seem to think they have the answer. Its name? Kickstarter.